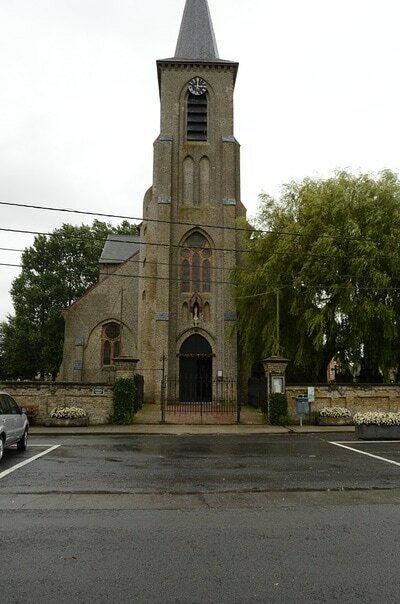 The village of Eggewaartskapelle is located 6 kilometres south-east of the town of Veurne. Driving along the N35 towards Diksmuide from Veurne go to the first junction and turn right for Eggewaartskapelle, this road is called Knollestraat. Entering the village the church is on the left. 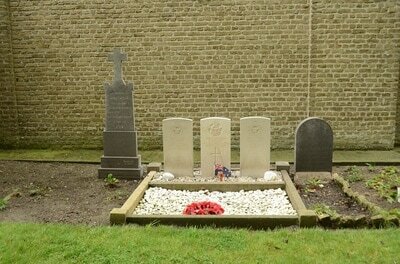 The graves are at the rear of the church. 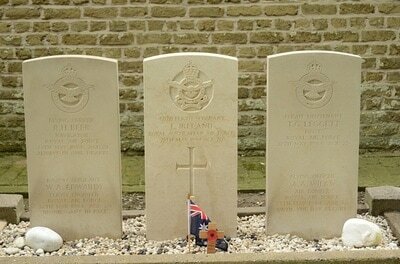 Eggewaartskapelle Churchyard contains the graves of five Commonwealth airmen of the Second World War. 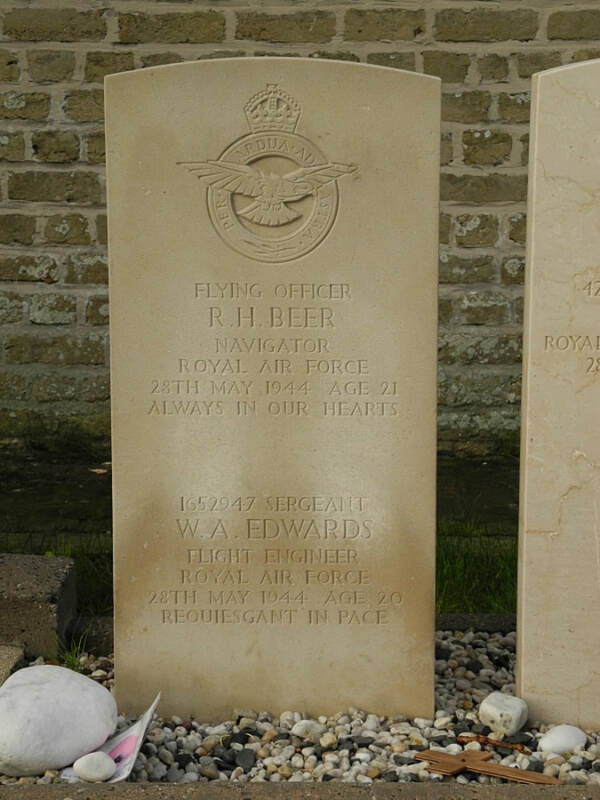 151422 Flying Officer Raymond Henry Beer, Navigator in 103 Squadron, Royal Air Force Volunteer Reserve, died 28th May 1944, aged 21. Son of Albert Henry and Daisy Beer, of Newport, Monmouthshire. 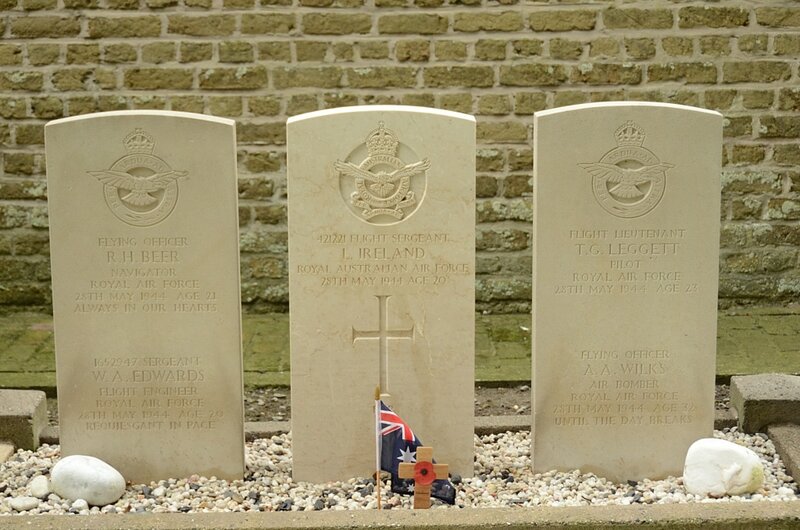 1652947 Sergeant William Austin Edwards, Flight Engineer in 103 Squadron, Royal Air Force Volunteer Reserve, died 28th May 1944, aged 20. Son of William Aubrey and Theresa Catherine Edwards, of Canton, Cardiff. 421221 Flight Sergeant Lawrence Ireland, 103 Squadron, Royal Australian Air Force, died 28th May 1944, aged 20. 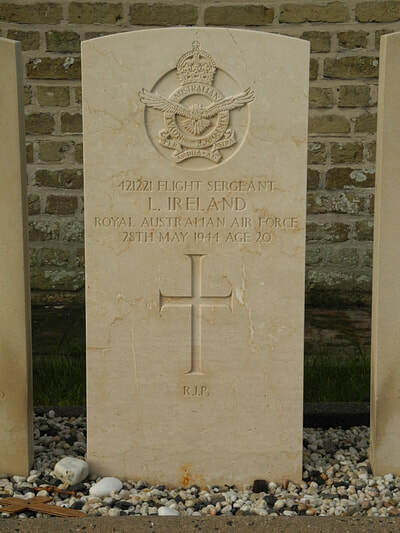 Son of William Francis and Ellen Ireland. 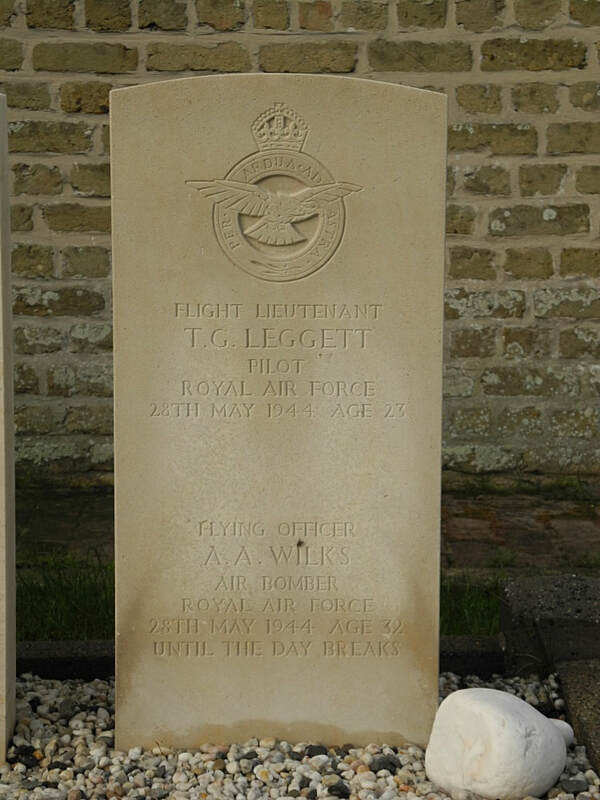 117474 Flight Lieutenant Thomas Gordon Leggett, Pilot in 103 Squadron, Royal Air Force Volunteer Reserve, died 28th May 1944, aged 23. Son of Alfred Thomas and Eva Leggett, of Mossley Hill, Liverpool. 148331 Flying Officer Arthur Alexander Wilks, Air Bomber in 103 Squadron, Royal Air Force Volunteer Reserve, died 28th May 1944, aged 32. Son of Arthur and Jessie M. Wilks of Oxford; husband of Gwendoline Wilks, of Oxford.